I love the color pink. This card uses two of my favorite Stampin’ Up! shades of pink – Rose Red and Sweet Sugarplum. The Sunshine Sayings stamp set has a lot of great sentiments that can be combined with the Sunshine Wishes Die set to create so many unique thoughts and wishes. Fold and crease the whisper white card stock into the card base. Attach the 2 strips of DSP on either side of the card base, ¼” from the edges. Stamp the Gorgeous Grunge splatter stamp in Sweet Sugarplum on the Whisper White mat. 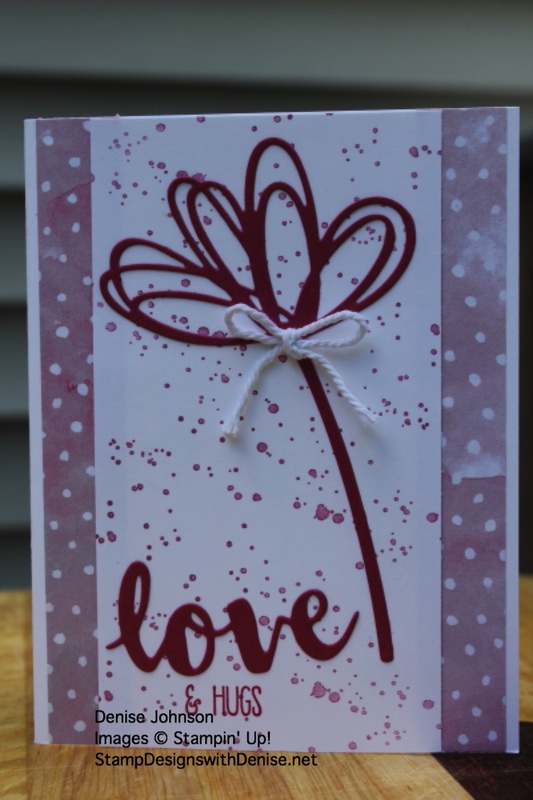 Using Rose Red card stock cut out the ‘love’ die and the flower die from the Sunshine Wishes Die. Attach to the splatter stamped card stock. 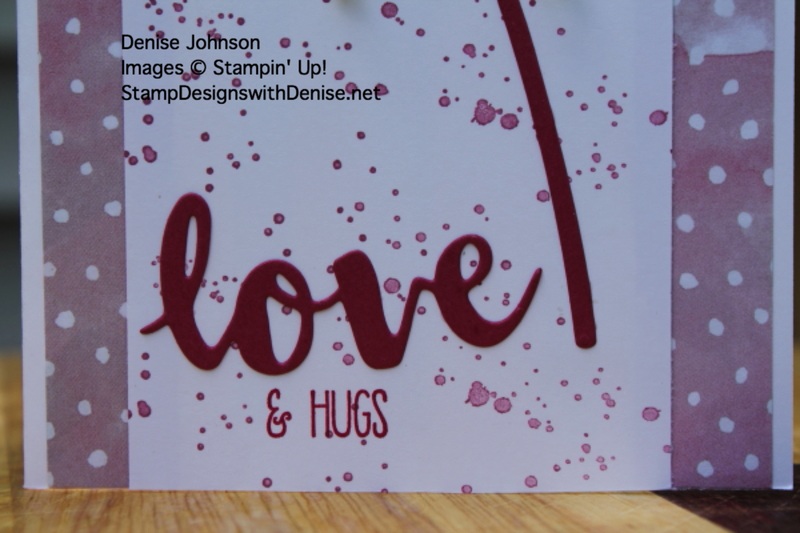 Stamp ‘& Hugs’ in Rose Red ink under the ‘love’ die cut. Attach mat to the card base.